Be it a driver or a motorcycle rider, being safe on the road should be one of your main concerns. Besides knowing the road driving rules, both drivers and riders should be equipped with the right type of protective gear and safety features in order to be road safety. When it comes to riding a motorcycle, motorcyclists need to provide themselves with a special gear not only to improve their riding experience and capabilities but also to improve their comfort and reduce their potentials for accidents and injuries. Motorcyclists are exposed to different types of road dangers and debris that could harm them a lot which is why you need to stay safe. When speaking of comfort, weather conditions are somehow the main indicator for choosing a gear that is comfortable. When the sun is burning like hell and the temperatures are getting really high, a motorcyclist should dress in layers. Covering up your body will help you retain moisture, keeping your body cooler while beating those harmful UV rays come in direct touch with your skin. Riding a motorcycle on rainy days can be dangerous mainly because of the slick and wet roads, however, if you must ride through the rain, choose the proper rain gear, one that is breathable, water-resistant, and waterproof. 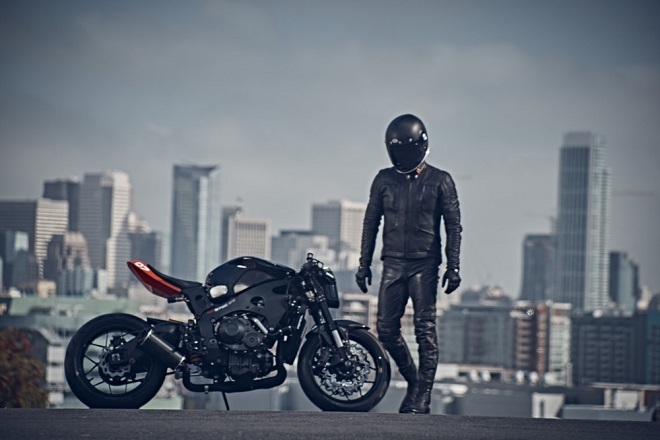 Riding on cooler temperatures requires a specific type of protective gear. Wearing the base layers like glove liners, thermal underwear, and the special helmet – balaclava are a must. The chosen protective gear must perfectly fit you in order to provide you with great protection. When it comes to protecting your head, you need to wear a helmet (even though not required in every state which is kind of a strange thing for me). When buying one, make sure you choose one that meets the Australian transportation standards, one that perfectly fits your head in order to protect both your head and brain in an event of an accident. Regarding your hands, look for gloves that fit your hands properly in order to improve your grip on the handlebars and help you prevent them from bruises, and cuts. When choosing boots, look for ones that will go over your ankles, and ones that feature oil-resistant and rubber-based composite soles. You should also wear a leather or abrasive-resistant riding jacket in order to protect your arms and torso in a case of an accident. These jackets (regardless the material) are usually wider across the shoulders and have longer sleeves in order to fit comfortably without bending when the rider is driving. And finally, you shouldn’t neglect the legs protection as well. Make sure you wear waterproof, abrasion, and wind-resistant fabrics like leather, ballistic nylon or some other type of material. This entry was posted in Automotive and tagged automotive, motorcycles, sports by australiaonline. Bookmark the permalink.